Space, the final frontier. These are the voyages of the Starship Morning Wood. Its ongoing mission to explore strange new blogs, to seek out new lifeforms and new commentaries. To boldly go where no blogger has gone before. Seriously. I am officially a trash picker. I opened up this post knowing with certainty that I had finished it last week. To my amazement only the above first sentences were here. Am I crazy? I remember writing this on a notepad last week when I was watching Undercovers. Afterward I created a new post and typed the whole thing out. Maybe I closed out the computer without saving the post. Only heaven knows! Regardless, I found myself looking to find a balled up piece of paper in the bottom of the trash can and there it was with a couple of ideas for new posts as well. Thank goodness I’m lazy and that trashcan doesn’t get much use. Are you a fan of Star Trek, the original series? Did you enjoy the latest Star Trek movie? There is news out concerning the next Star Trek movie, Star Trek XII. Due to be released in 2012, JJ Abrams (creator of Undercovers), has given some insight on the film. There are two absolutes about the next Trek movie. First, Khan will not be the villain as many Star Trek fans were hoping to see. Second, the script is said to have a traditional character from the original series. Unless Abrams is not telling the truth, Khan is out of the picture. I’m wondering who it might be because there are a great number to choose from. Will the person be a friend or foe? I have spoken with some folks at Lightspeed Productions and they tell me that in some of the art work they sell you can see what appears to be computer chips and processors. I was informed that it’s there because the Borg around in Kirk’s time. I don’t want to see the Borg, the Talosians, the Klingon’s, Romulans or even Harry Mudd. What I did want was a Next Generation (before Generations) movie with Janeway, Sisko, Picard and Kirk all joined together to fight against some of the members of the Q Continuum. Since Kirk is both dead and in the Nexus I don’t see my dream movie coming to fruition. To my surprise I learned in Star Trek lore, the Q Continuum was around in the original series. The Q in question (like what I did there), was Trelane. The character of Trelane from the episode, The Squire of Gothos is a young spoiled Q. That is who I would love to see in the next Star Trek movie. An even younger Trelane who is even more childish and immature. If you are a fan of the show or the movies do you have any suggestions for a traditional Star Trek character to appear in the movie? Perhaps a better question for me is when will they fix the time line to align with what we know Trek to be. Skyline opens today. If you see it, let me know what you think of it. There are some very interesting movies coming our way soon. The one I am most interested in is The Expendables. Jet Li, Bruce Willis, Arnold Schwarzenegger, Sylvester Stallone, and Jason Statham all in the same movie. It’s bound to be a let down but I’m going to see it anyway. You already know of my interest in Skyline. I usually get my information on superhero and sci-fi movies from Chris Ferrell. Remember he was my first guest blogger and runs Nerds Of The Round Table. He hasn’t had any new posts since June so I am filling myself and my readers in on what I have found out. Sadly there will be no more Fantastic Four movies but in 2012 we can look forward to an X-Men prequel. Kevin Bacon has signed on to be the villain. There are a slew of rumors surrounding the new Batman movie. Robin is supposedly going to be introduced. There are also rumors that Eddie Murphy is going to play the Riddler and Catwoman might also be in this one played by Rachel Weisz . One villain per movie please. Director Christopher Nolan hasn’t signed a contract yet and neither has anyone else, so don’t believe the rumors. Scheduled releases for 2011 are The Green Hornet, The Green Lantern, X-Men: First Class and a remake of the classic, Fright Night. Scheduled releases for 2012 are Hancock 2, Monsters Inc. 2, and Star Trek XII. In a unrelated note, Airplane! 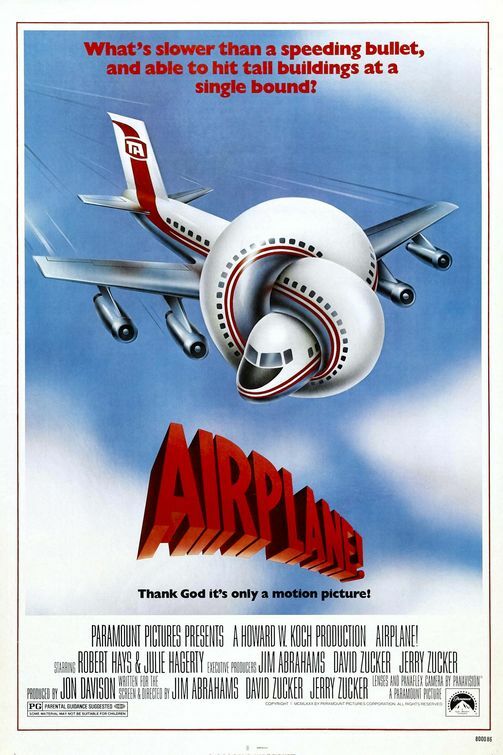 turned 30 this July so I want to know what is your favorite line from Airplane!? Can you fly this plane, and land it? Surely you can’t be serious. You are currently browsing the archives for the Star Trek XII category.